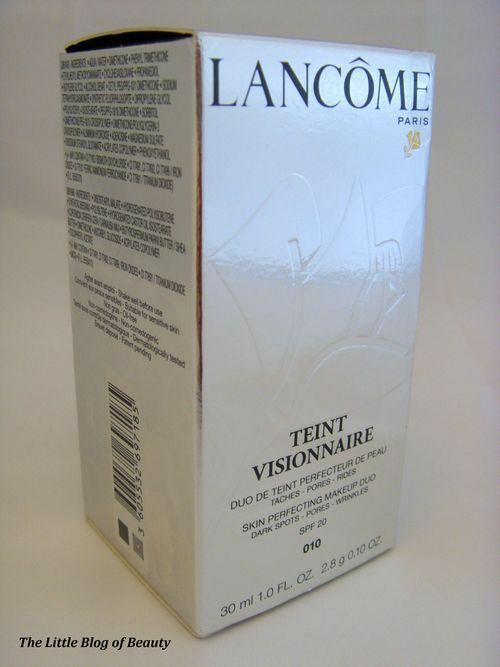 At the end of 2012 I applied to Lancome to be part of a VIP review panel for their newest foundation. 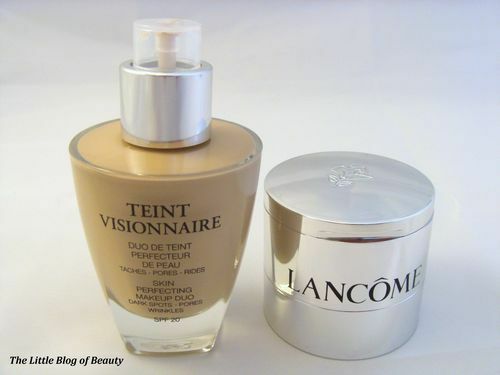 In January I opened a parcel expecting something else but instead found a bottle of Lancome’s Teint Visionnaire Skin Perfecting Makeup Duo and an information sheet congratulating me on being selected to be part of the review panel. At the time and during the trial (which lasted 4 weeks) I wasn’t allowed to say anything about this because this was yet to be released and so was classified top secret! However as you may be aware this has been released today. 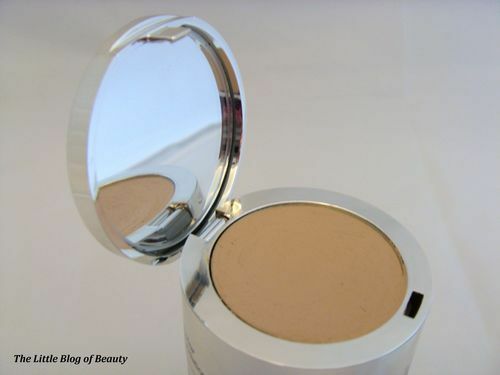 Now as you may have seen on one of my earlier posts I am a compact foundation kind of girl and haven’t used a liquid foundation for many years now so this really was going to be a little strange for me. 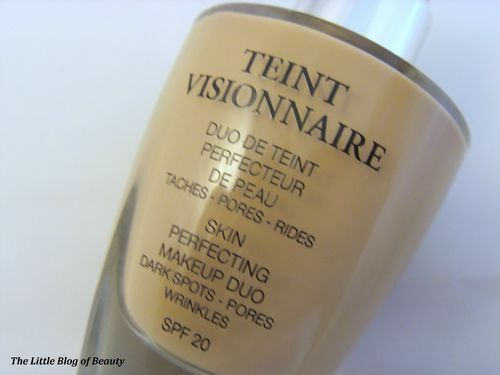 As the name suggests this is a skin perfecting foundation which is designed to target dark spots, pores and wrinkles. This contains SPF 20 and features a bottle containing the perfecting foundation with a lid that contains a precision corrector. This is oil-free, suitable for sensitive skin, non-comedogenic (I had to look this one up! This is non-pore blocking), dermatologically tested and has a patent pending. 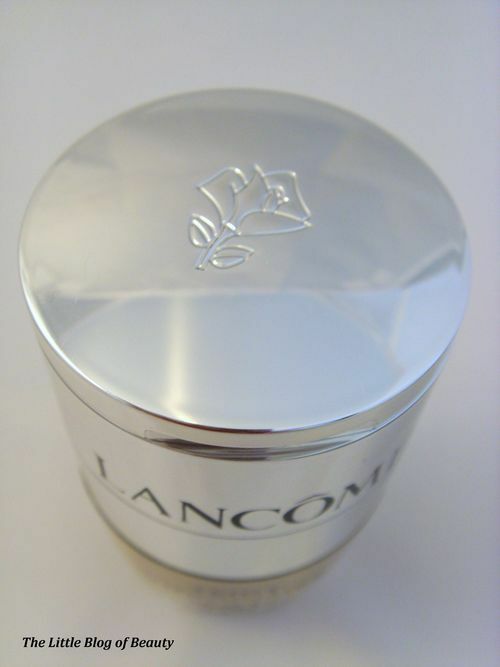 Lancome creates an innovative makeup duo to immediately reveal a flawless complexion, while visibly reducing the appearance of imperfections day after day: dark spots appear faded, pore size appears reduced and wrinkles appear smoother. High coverage precision corrector enriched with Vitamin CG: targets imperfections, to instantly reduce their appearance. Sheer perfecting foundation enriched with 2% of LR2412: immediately evens out the appearance of imperfections for a natural looking and flawless finish. 2 expert steps combined in a foundation for a perfect coverage and a natural looking result. 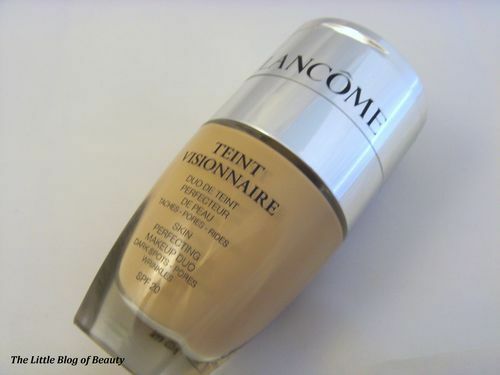 I was sent shade 010 Beige Porcelaine which I think was a little too dark for me but I do have very pale skin. I believe there are a couple of lighter shades. The information sheet provided with this gave some tips for application. To begin with a small amount of corrector should be blended in a circular motion on the back of your hand. Using your fingertips this should then be applied to dark spots, dark circles, redness or blemishes using a gentle tapping motion. One pump of fluid foundation should then be applied, using your fingertips or a foundation brush, in a circular buffing motion. I found the corrector slightly ‘tough’ so I think the idea of applying this to the back of your hand first is to warm this and make it more supple so it’s easier to apply. I used this on the dark areas under my eyes, on the redness I suffer with across my cheeks and around my nose and over the redness and scaring I have on my chin. I did find that this worked well as a concealer. This covered my redness well and did improve the appearance of my pores. This didn’t completely cover the darkness under my eyes but then nothing ever does as I suffer quite badly with this. I then applied the liquid foundation using either my Real Techniques Buffing brush or Stippling brush. As I have mentioned already I have not used liquid foundation for many years so I’m not used to applying this. Whenever I first applied this I was never quite sure about the coverage/appearance (maybe just because I’m not used to it) however I found that once this had ‘settled’ this did look very natural and gave a kind of radiance to my skin. This then lasted really well through the day. With regards to reducing the appearance of my imperfections through the trial, to be completely honest I don’t think I saw much of an improvement, but my skin does change in appearance day to day anyway. With regards to wrinkles I can’t comment on this as although I am now in my 30’s I am lucky enough to look much younger (my ‘playing’ age for filming work is 25) so I do not have any wrinkles (and I think technically I’m still a bit too young for wrinkles anyway?). So would I actually buy this foundation? I would say I probably wouldn’t buy this but as I have said I am a big fan of compact foundations and this is obviously a high-end foundation and therefore comes with quite an expensive price tag that I can’t really afford. However, although I probably wouldn’t buy this myself it doesn’t mean that I didn’t like this. I think this is a really good foundation that other people may love. If you are a fan of Lancome or high-end foundations and can afford the high-end price then I would say definitely give it a try. This costs £36 however as a Valetines treat Debenhams currently have 10% off.